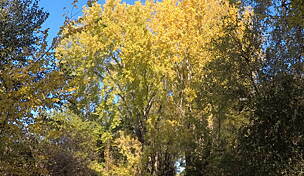 Trail end points: Gerhart Ave. and State Route 330 and Linn Creek Recreational Trail at Highland Acres Rd. 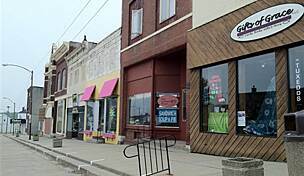 The Iowa 330/US 30 Trail stretches from just west of the small town of Melbourne to the outskirts of Marshalltown, the largest city and county seat of Marshall County, located close to the geographic center of Iowa. 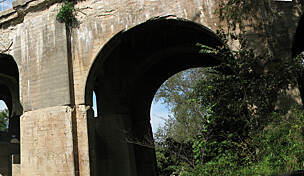 While consensus is lacking on an official name for the trail, its utility cannot be disputed: The trail provides a safe off-road alternative for bicyclists and pedestrians to the busy State Route 330 and even busier US 30. 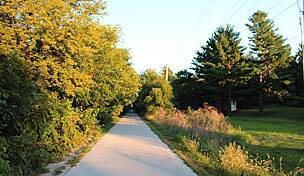 In fact, the trail runs adjacent to the two highways for almost its entire route. 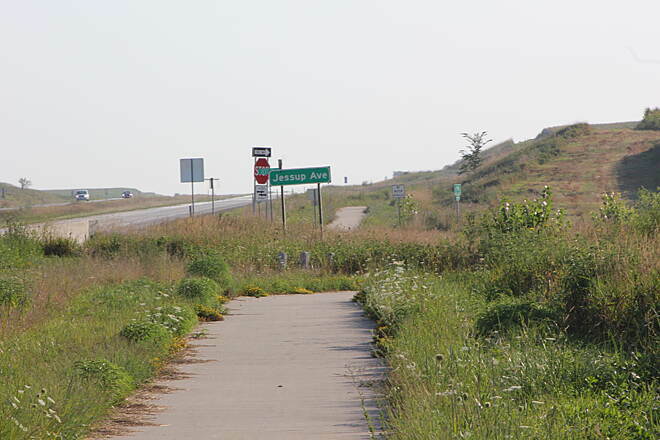 The trail originally terminated west of Marshalltown at the intersection of Marshe Avenue and US 30, but Iowa's state transportation commission approved the application for funding for an extension to the trail in 2008. 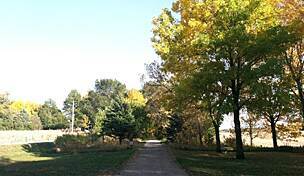 Now the Iowa 330/US 30 Trail ends closer to Marshalltown at the Grimes Farm Nature Center. 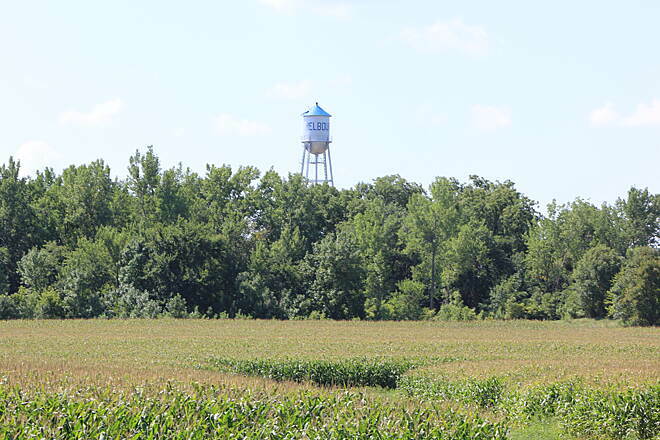 There it directly links with the Linn Creek Recreational Trail, which offers a scenic and winding route through the heart of Marshalltown before ending at Riverview Park in the city's northeast corner. 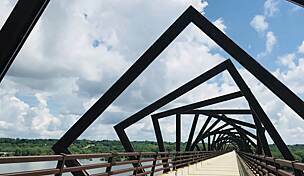 Perhaps what is most exciting about the Iowa 330/US 30 Trail is its potential. 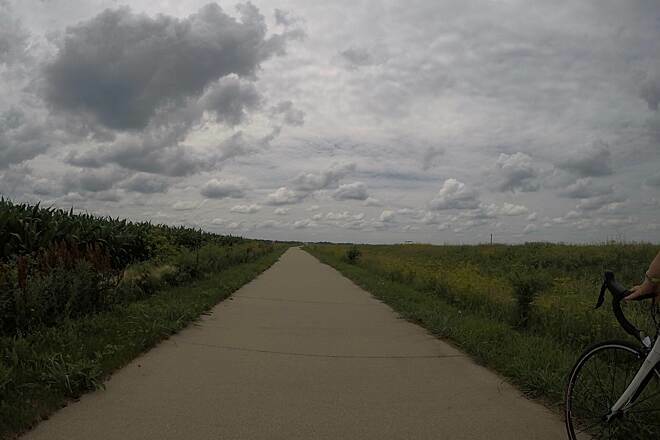 The Heart of Iowa Nature Trail currently ends in the east at the town of Rhodes, less than 4 miles from Melbourne and the western trailhead for the Iowa 330/US 30 Trail. 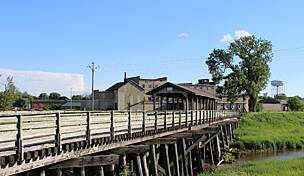 Future plans call for the extension of the Heart of Iowa Nature Trail to Melbourne and the completion of another short section of the trail east of Collins. 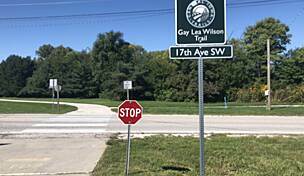 When the entire trail is finished, intrepid runners and riders would be able to travel uninterrupted on a series of off-road trails for more than 60 miles from northeast Marshalltown to Woodward in Dallas County and points south such as Ankeny and even Des Moines. 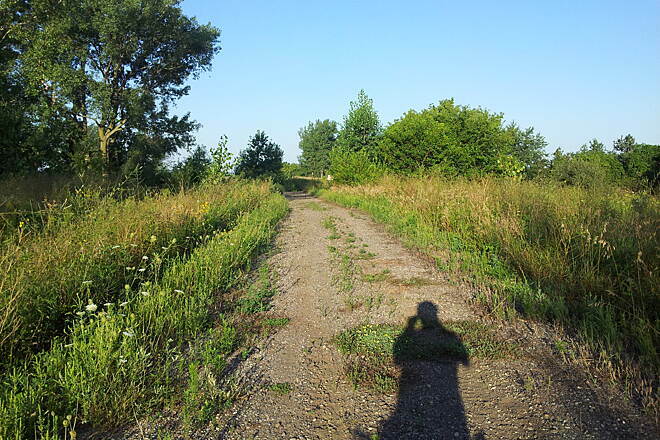 There is a trailhead at the Iowa 330/US 30 Trail's western endpoint in Melbourne, which includes a small gravel parking lot. The lot is located off Gerhart Avenue, just north of State Route 330. Some parking can also be found at Grimes Farm Nature Center. 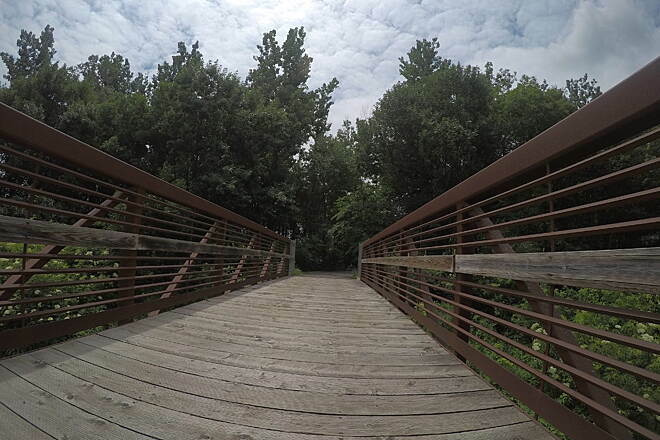 If you plan on reaching the trail from downtown Marshalltown, consider parking at one of the Linn Creek Recreational Trail's designated parking lots and following the trail westward until you reach the Iowa 330/US 30 Trail at Highland Acres Road. I've ridden this trail several times and find it to be a good way to get in 13 plus miles (one way) along with good scenery depending on the season. There are a few places where you cross gravel roads but that is a minor inconvenience. It is moderately hilly. 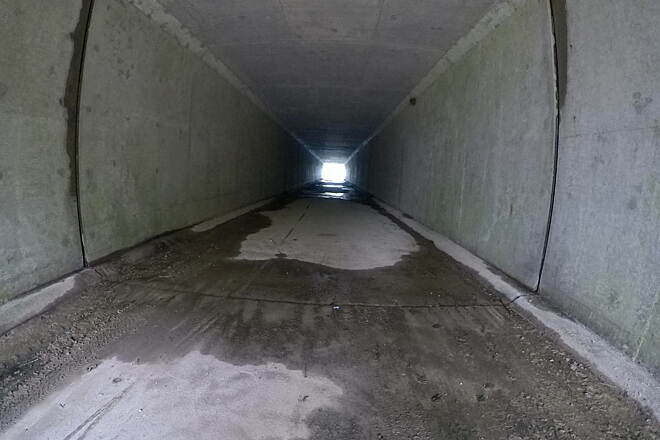 The concrete is in good shape and easy to pedal on. 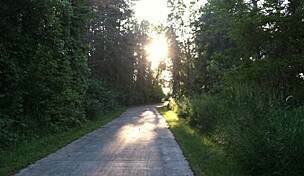 It connects to the Linn Creek trail through Marshalltown which would give you another 7 plus miles. Once it is connected to the Heart of Iowa trail near Rhoads, we'll really have a great trail. 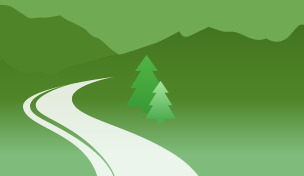 Although the majority of this trail is paved, there are several connections requiring you to pedal short distances on gravel, making the trail too rough for road bikes. Also, the trail offers limited scenic enjoyment and the nearby heavy vehicle traffic generates a truly annoying noise level. If you just want to rack up some miles, your tires can handle gravel and you listen to music while riding - this trail may be for you. Very nice trail for the most part. The trail head is a little difficult to find and there are a few hundred feet of gravel before going through a tunnel and actually getting to the trail. Lot's of wildlife along the trail. There were a few places that had gravel roads to cross. Several miles had just been re-surfaced. Rolling hills.